Todd McFarlane has been talking about a new Spawn movie for a few years now, but he told ComicBook.com in an exclusive interview that 2016 is the year he makes it happen. At Toy Fair New York, McFarlane sat down and talked toys, branching out, and his first love, Spawn. "I've finished the script, and I'm in the process of editing," McFarlane told ComicBook when asked for an update. "It's 183 pages, and [producers] usually like 120. I still think it's going to end up being about 140, because I'm putting in details for myself." That's because McFarlane also hopes to direct the film, so he's writing the script as "a director's script." The trimming is still necessary so he can get it to "a spot where I can walk this into Hollywood and start hooking the actors," he said. "I want to keep it small, keep it tight, so they'll let me direct it!" he said. His goal is to see production start in 2016. "I need to get him back up on the big screen again to make him relevant in a big way, which we will do," he said. 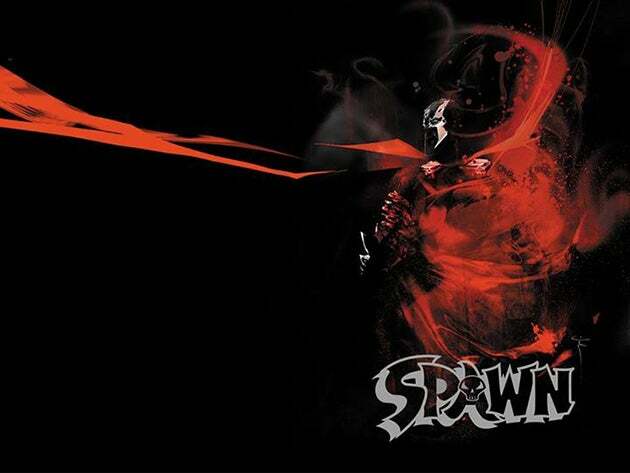 McFarlane will also be releasing his first Spawn action figure in a few years, as part of his new "Color Tops" line, which will see waves of figures from different brands like Gears of War and Assassin's Creed released alongside his own Spawn and his popular The Walking Dead figures.